Published Bestsellers: Panzer Storm - "An intense and bloody combat"
I was born in 1964 near the town of Mulheim West Germany whilst my father was serving in the British Army as a Sergeant Major. I achieved average results at school, but the most vivid memory that remains with me from school was being paid a compliment before the whole class by our most hard-line teacher for a story I had written–quite something at the time for a child usually unnoticed in class. Nine years ago I joined a WW2 Living History Re-enactment Group in the South-East to live out my dreams of experiencing times gone by. I have met elderly veterans from various countries, and listening to their varied experiences combined with my own, sowed the seed of my WW2 Eastern Front action novel “Alles Fur Deutschland” published 2012. 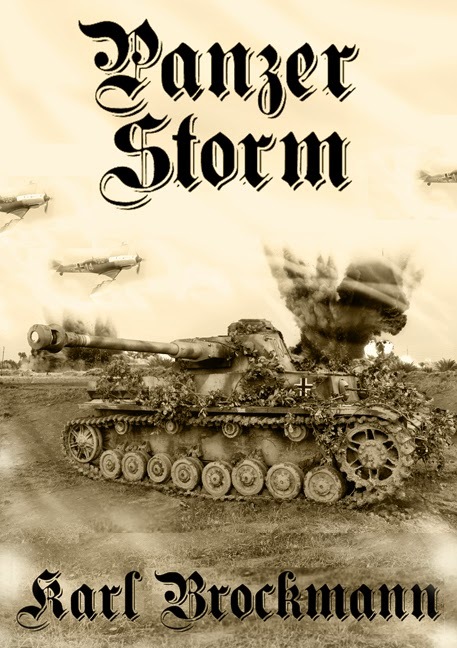 Such was my excitement at publishing my first book–I carved out time for a follow-up title “Panzer Storm.